Design by Tripp Jr., McCurdy & Rhodes "design development"
Rig dimensions shown are for Sloop with tall mast. 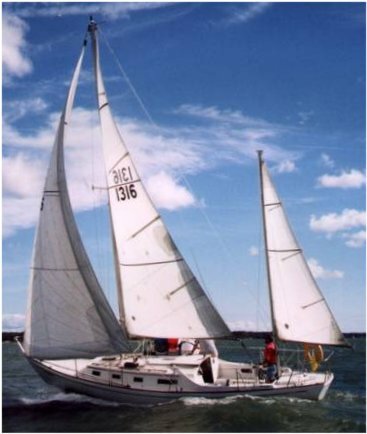 An entirely new SEAFARER 31 was introduced in 1974. Available in 'kit'form. 'Seacraft kits'.